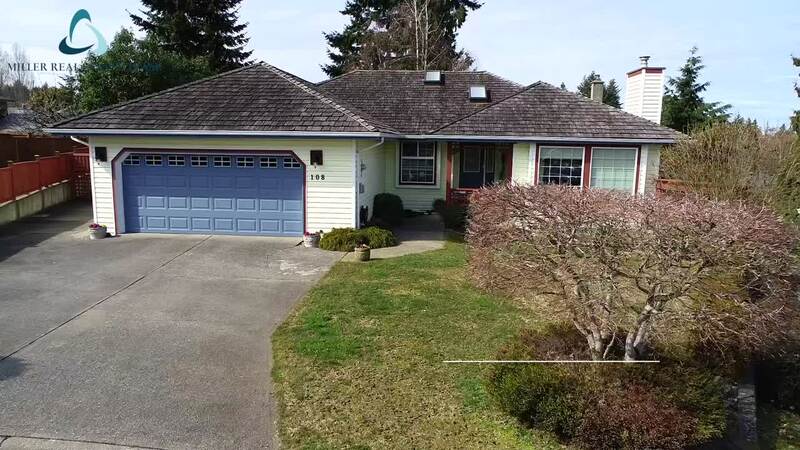 Wonderful 5 bdrm level entry cul de sac home in a superb North Nanaimo location. With over 3500 sq.ft. there is more than enough room for your growing family. Three skylights & numerous windows invite abundant natural light into the home. Formal rooms include a sunken living room & separate dining room. Hardwood floors extend through the open concept family room & kitchen perfect for a busy family. Enjoy relaxing or entertaining on the large deck with partial Georgia Strait views. Three bdrms, 2 bathrooms & laundry are on the main floor. A walk-out lower level flexible in its use, can be configured to suit your needs. A huge space could be s a home theatre, gym or games room & there is an office/hobby room. Two extra bdrms, a full bathroom & family rm complete this level. Added features include a hot tub, RV parking, 3 fireplaces & charming playhouse. Close to beaches & a variety of amenities. All data & measurements are approximate & must be verified if fundamental.